We Can Make a Difference, One Step at a Time! Our kids martial arts program was designed to help your child achieve greater success in life by providing training designed to enhance physical, mental, and social development. It teaches your child valuable character traits such as Courtesy, Respect, Cooperation, Commitment, and Perseverance. The journey to Black Belt will challenge them to set and achieve goals, while their self-esteem and self-confidence grow. 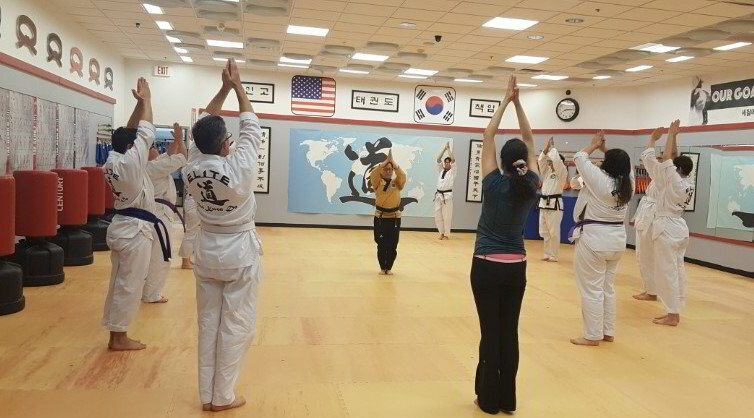 Our adult Taekwondo classes aim to make fitness fun, while enhancing overall physical and mental well-being. 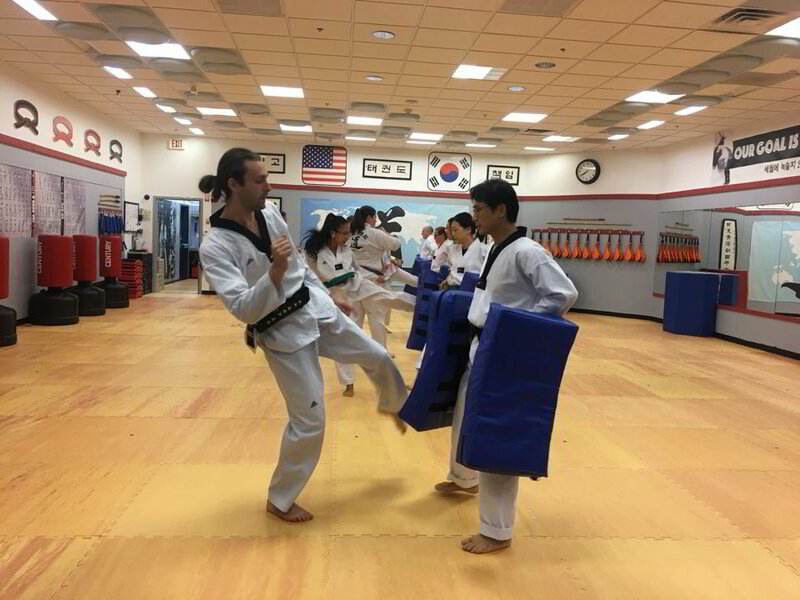 By taking the class, you’ll be improving balance, flexibility, and relieving stress while you learn the traditional art of Taekwondo. It makes an excellent workout, with each class including a thorough stretching routine and bursts of cardio intense drills, plus body weight and core focused strength exercises. Training side by side with your children is a truly special experience. You will share a common activity and cheer each other on as you move through the different belt ranks and meet dozens of other friendly families. The energy in this class is tremendous and a great way to combine workout time with family time so that everyone can have fun while staying healthy. Little Tigers martial arts are a fun, new activity for your 5 year old child. They also learn social skills as they practice in a group, cooperate with a partner, and learn to focus on a teacher while following verbal instructions. This prepares your child for greater success at school and other team sports. Our Taekwondo Meditation classes aim to make meditation easy while enhancing overall physical and mental well-being. In taking a look at the process of meditation, using body is defined as training; using breathing is defined as concentration; knowing and using the power of unconsciousness through these understanding is meditation. 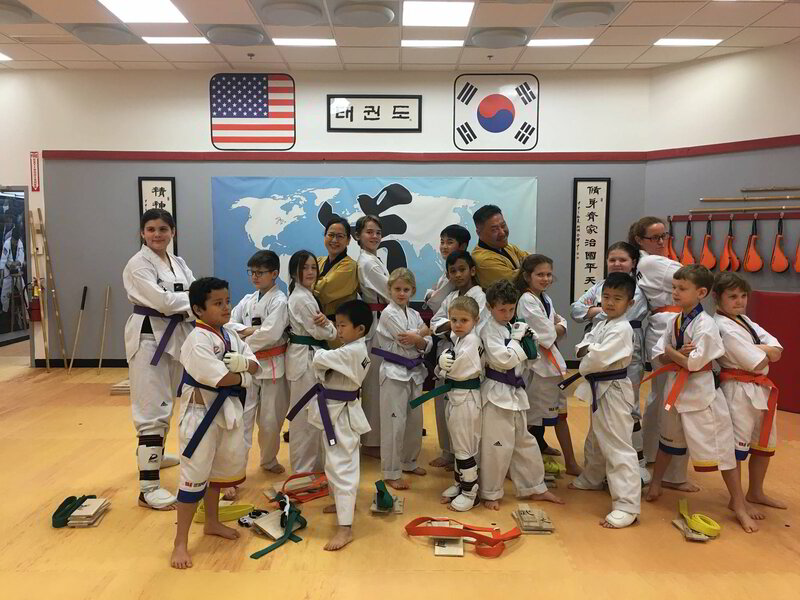 Our parties are filled with specially designed activities and games, making it possible for all of your child’s friends to have fun while learning basic Tae Kwon Do skills. No prior martial arts experience is required to participate! Everyone 5 & up will be able to join in. Welcome to the Best Martial Arts School in Hadley! 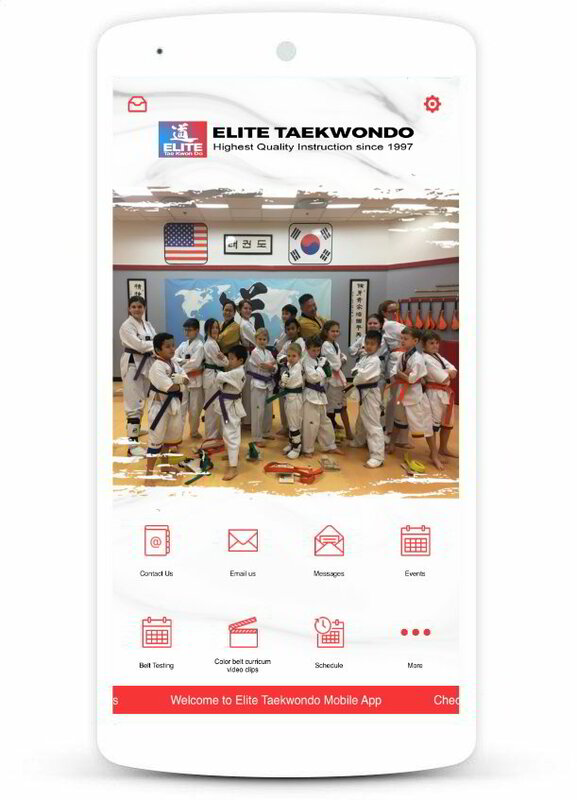 Our Elite Taekwondo Hadley school might just seem like a place to get fit and learn self-defense... but to us it’s so much more. When you train with us you’ll experience a place where you fit in, no matter what your background or fitness level is. You’ll also learn powerful adult martial arts, discover ways to keep your children safe, and learn secret tips to staying in amazing shape known previously only to elite martial artists. We’ll help you get next-level fit, but below are a few of the more subtle changes our students experience in our classes as well. Easy access to class schedules via mobile app. Get important school related updates. 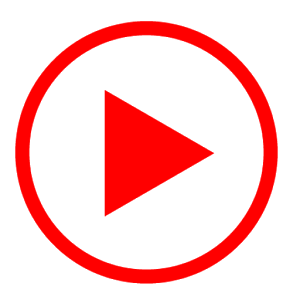 Access our training videos for practice at home. Conveniently view all programs and camps that we offer.